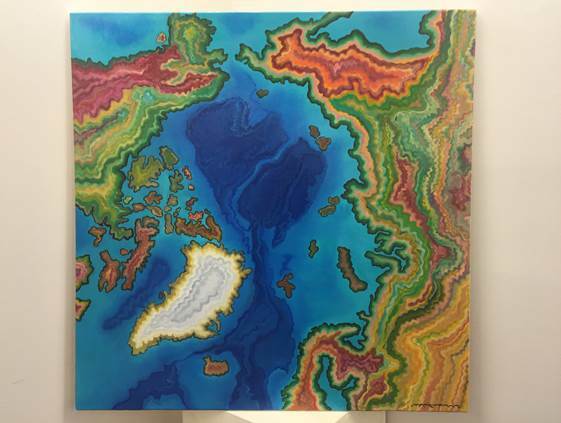 I created this painting to express the topography of the arctic circle, using a bathymetric chart to inform the water and a topographic map to paint the land. The inspiration for this piece came from a realization that my peers seldom look at a map of the top of the world. The average person does not think spatially about the Arctic from a top-down perspective. I wanted this piece to help change their spatial understanding of the Arctic.